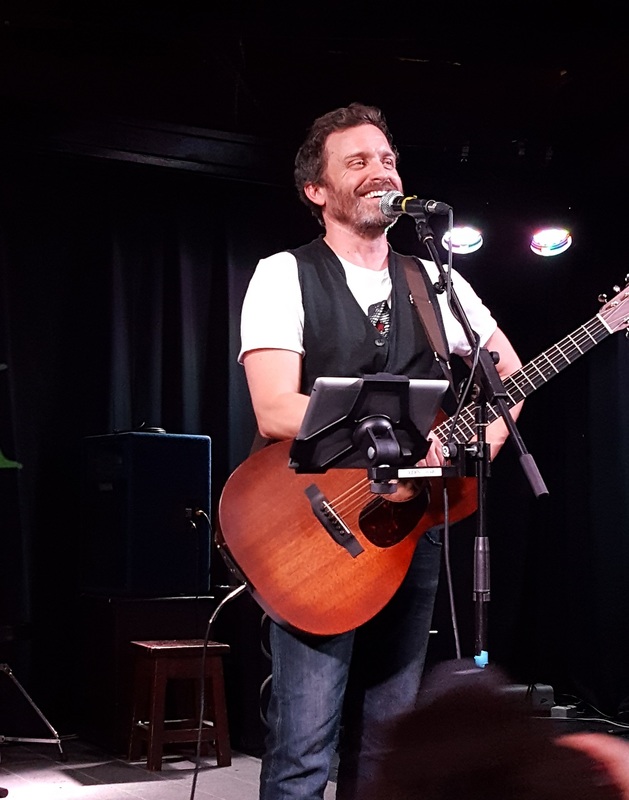 Rob Benedict Talks Family Don’t End With Blood, Louden Swain and Kings of Con! 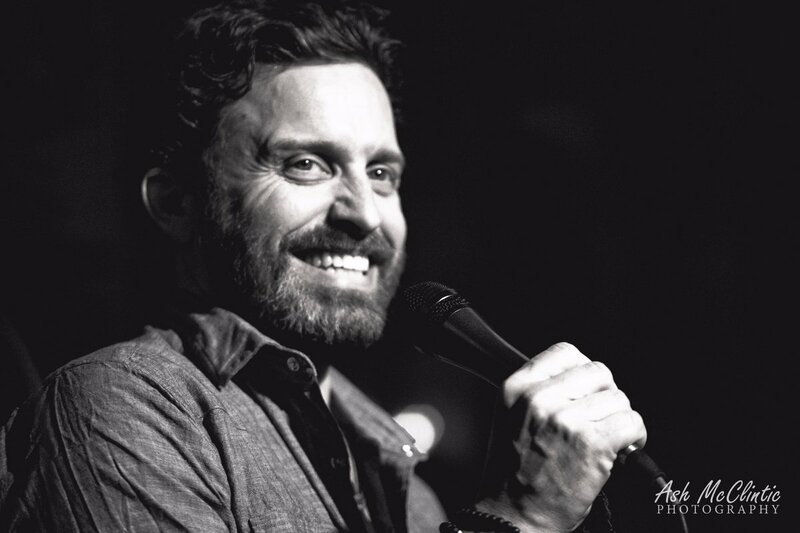 One day last week, I was driving my niece to school with the Louden Swain ‘Saturday Night Special’ cd playing. My niece has a developmental disability and is not very verbal and that can make life extra challenging. It was early, but when Eskimo came on, without thinking I turned it up a bit and maybe started singing. And maybe started drumming on my steering wheel a little. (Hey, it’s one of my favorite songs, so…) Suddenly I heard a noise to my right and noticed movement. I turned my head, and my niece was not only humming along but was air drumming enthusiastically. With the BIGGEST smile on her face. I grinned back and we rocked the hell out of the rest of that song, and then put it on repeat. It was one of the most fun drives I’ve ever had at 8:00 in the morning. 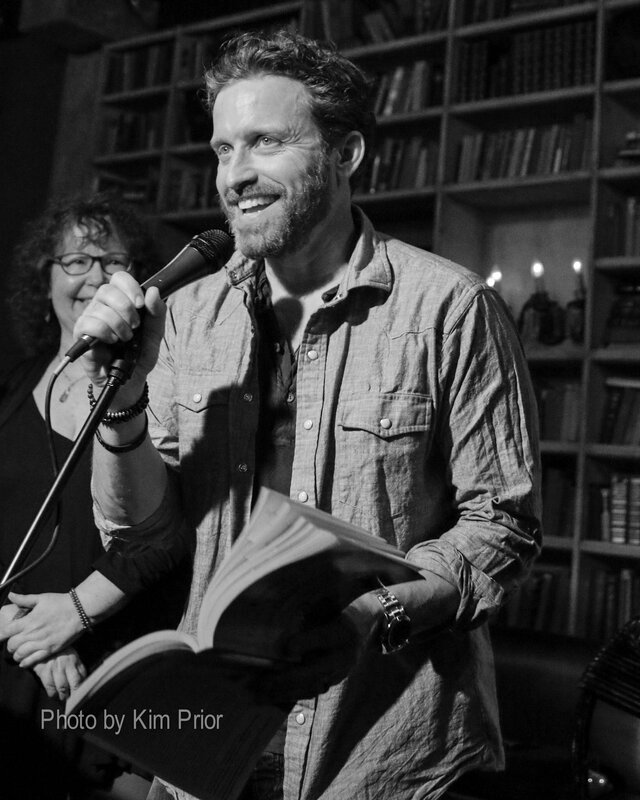 A few days later, I had a chance to catch up with Rob Benedict and I shared that story. Rob: Awww, that’s so sweet, I love that. Lynn: Your music is pretty special, obviously. Lynn: it was. So thanks for that. Okay, so questions. First I wanted to ask you about the chapter you wrote for Family Don’t End With Blood. You really did write a very personal and very powerful chapter, all about having a stroke at the Toronto convention several years ago. So many fans who have read it have told me how moved they were by your chapter. What kind of feedback have you gotten, and how does it feel now to have written such a personal unguarded chapter? Rob: It’s been absolutely overwhelming, the response. There are still a number of people who didn’t really know that happened to me. So it varies, from people feeling empathy to people saying a similar thing happened to someone that they know, or just that the sentiment was something that they recognized. People say the nicest things, about it being one of their favorite chapters in the book, and all sorts of unbelievably gracious and complimentary things. I wind up signing as many books as I do head shots of myself. I think it means a lot to people. And I don’t think you automatically get my autograph with your ticket to the con or whatever. Lynn: No, you hardly ever do. Unfortunately. Rob: Right, so people are buying that so I can sign their book, which I think is the biggest compliment to you and the effect that Family Don’t End With Blood has had on people. Lynn: And to you, because your chapter is one of the ones that really made an impact! I’ve gotten such incredible reactions to the book. It had the exact effect that we were all hoping for – as support and inspiration for people when they’re struggling. I’ve heard stories of people sharing the book with their parent, saying this is what’s helping me not cut anymore. I’ve heard people say that this makes all the difference – that they’ve been ready to give up, and then went back and read one of the chapters about people they admire having their own life and death struggles – and decided to keep going. Rob: Ah that’s amazing, that’s what I mean about it being overwhelming. It’s like, you almost can’t even fathom how much it means to people and how life saving it’s been. I’ve experienced that with our music as well. It’s something about this fandom that I don’t think people really comprehend. How deep it really goes. Lynn: No, I think if you weren’t in the middle of it, you wouldn’t know. But I was thinking about why the chapter you wrote resonates so much with people. And I think partly it’s because it really was a life and death situation. But I think it also resonates so much because of the way you wrote it, you wrote it with a tremendous amount of vulnerability, as did many of the actors who wrote chapters. I was honestly blown away when I started reading the chapters that were submitted – fans and actors just went there. So raw, willing to be so vulnerable. And you do that in your music too. 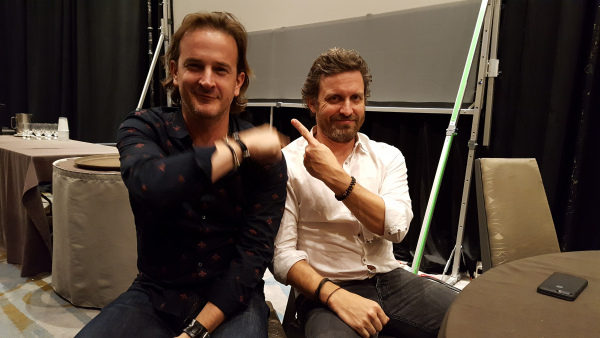 I’ve said this to you before, but you and the band and you personally, are sorta the heart and soul of the SPNfamily and especially the cons. And in part it’s because of that stroke and the fact that people feel like they almost lost you. And now that people can read your story in your own words in the book, that’s even more powerful. Lynn: The other part is the vulnerability that you put into your music, both the writing of it and the live performance. Something like She Waits, the way you wrote it and the way you sing it and perform it, I’ve never experienced so much emotion at a live performance. 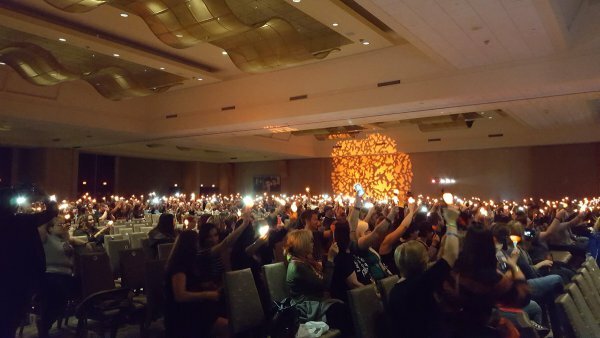 So what is that like for you, seeing the fan support so viscerally, those thousands of lit up candles in the ballroom as you’re singing? Rob: It really is amazing. I’ve always put everything into my music, I’ve looked at it as an outlet, a place where it’s okay to scream and yell, a place where its okay to be sad, it’s okay to put all your frustration into that. Rather than rebelling in life or hurting yourself, that’s my outlet. And it’s been incredibly healing for me really, even though singing some of those songs can be really painful. Ultimately, I do feel cleansed afterwards. And these last 5 years, to sing these songs and have people sing them back, to have people react to them with signs and candles and support, it’s taken this to a whole other amazing level. It’s like, I’m not alone, I’m not alone in my catharsis. You know, I almost felt weird about it, it almost felt selfish before, because here I am pouring my heart out or whatever onstage, and now it’s not about just me anymore, it’s about all of us. Lynn: It is. It really is. Rob: And I do think the stroke does play into it because we have this kind of shared experience. 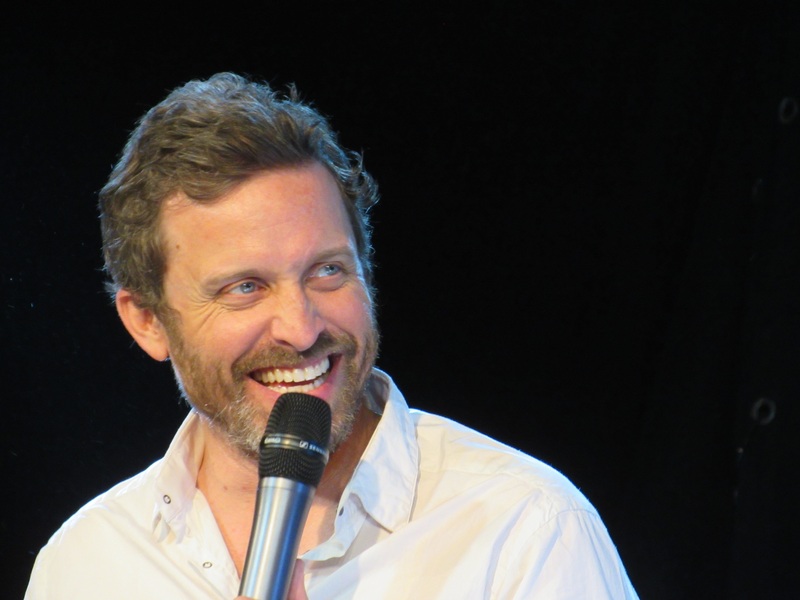 The fact that the stroke happened at a con, and I feel like the fandom really helped me get better, so now we really have this shared catharsis and it’s just such a welcoming place, such a safe place, there’s really nothing else like it that I’ve ever experienced. Lynn: No, it’s unique, and as I thought about what I wanted to ask you today, the more I thought that the book and the music, they really do the same thing. Both of them are catharsis. Lynn: And I know not just you, but all the actors who wrote a chapter struggled with this, like should I really put this out here? Am I really just navel gazing, like do people really want to know this personal stuff? But the only way people feel validated in their own struggles is by hearing somebody else’s. Both the music and the book do that. Rob: Yeah, that’s what it is. And you know, there’s some actors who like to keep things personal, and I completely respect and understand that. Rob: I think, for me, it got to a point where I go, you know, there are some things that can almost be made better or healed if I’m quite honest about it. And then in doing that and talking about whatever it is — my father, the stroke, my depression — in talking about it I felt like it was helping other people, so that can’t be a bad thing. It’s sort of group therapy in a way. Rob: And I got strength in that, I thought that’s okay. 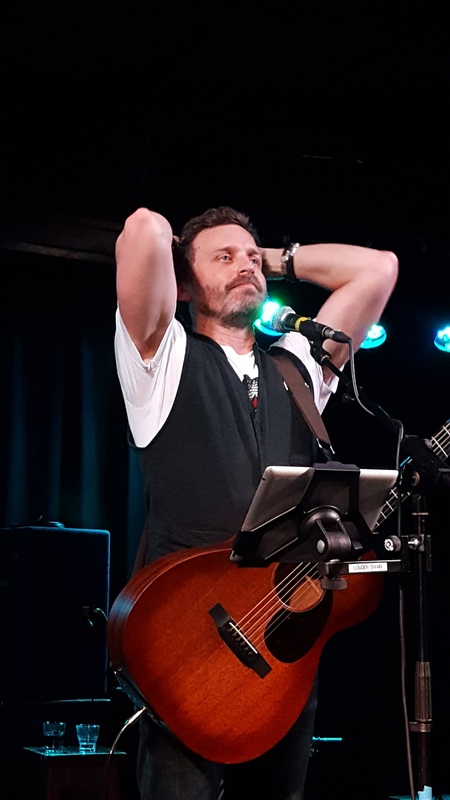 I used to shy away from saying what songs were about, you know like ten years ago, but now I realize that’s okay and especially with this group [the SPNFamily], it’s more than okay. Everyone really grabs a hold of it and it’s become part of the identity of what this group is. Lynn: It’s validating for us, for you, it’s validating for all of us. Rob: Yeah yeah, and the other actors too get to join in who don’t always get to do that, you know? Lynn: Yeah, it’s interesting. I don’t know how much of the book you’ve gotten to read because you’ve been super busy, but a bunch of the actors wrote about a) how terrifying it was to sing at the SNS and b) how cathartic it’s been for them to sing at the SNS. Ruth wrote about that, Kim wrote about that, Gil even wrote about that. And a lot of those actors are ones that are performing on the new live Saturday Night Special album. How did they feel about that? Was it validating to sing on an album that turned out to be so successful? Rob: I have read Ruth’s and Kim’s chapters in the book and talked to them quite a bit about that. And I think, yeah, certainly the process for them was I would send them the tracks before I put them on the album and say hey how do you feel about this? And they were kinda like biting their nails and going I think it’s ok, and I’m going, it’s amazing! It’s more than okay, it’s great! Rob: So yeah, I think it felt vulnerable for them but ultimately I think everybody is really proud of that album. Rich has been buying copies and handing them out to people as a way to explain what the Saturday Night Special is. Lynn: That’s a great idea! Rob: Yeah, it’s a great account of what that night is. Lynn: I think that’s just about the only way to really understand. 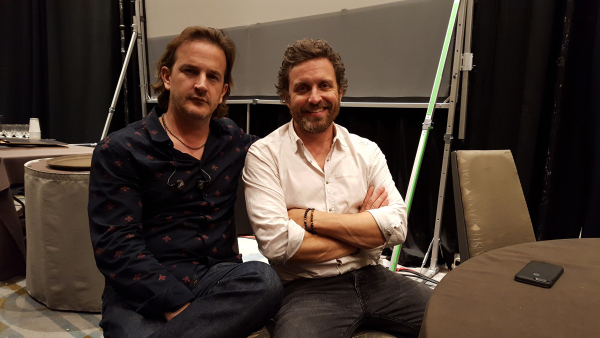 And maybe they should read some of my con blog posts on Fangasm about the SNS along with it too. It would be a good combo. Lynn: How did you decide what you included on the album? There are just so many awesome performances to choose from. Rob: We started recording, we recorded like three different shows, and then there were some engineering issues we had to overcome. It’s a difficult thing to record a live show and make it sound like a studio album. Rob: And then we loved the San Francisco show, but then we kept recording, so there are a couple other tracks like Fare Thee Well that were taken from other shows recorded later. And then we had so many tracks that we were like, let’s plan on doing a second album. As a way to go, well, we’re not eliminating anything. 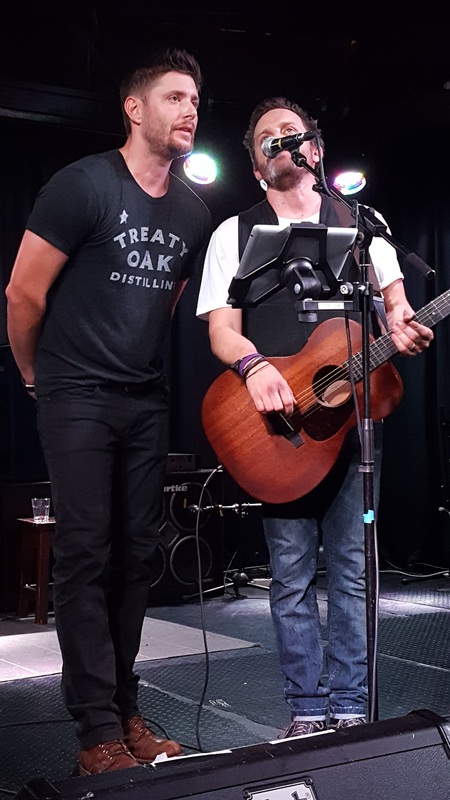 Rob: Because we want other people too, Jason Manns and now that Mark Pellegrino is singing sometimes, and a couple songs off our new album on there, so there’s already a second album in the works. Sort of a Volume 2. Lynn: Yay! I bet that made it a lot easier to pick. Because there are so many – I don’t even understand why, but for some ridiculous reason the casting people for this show keep casting people who a) are not jerks, and b) are not only great actors but very musically talented people, it’s really kinda weird. Rob: (laughing) I know, it really is bizarre, and more people end up singing. Like Mark Pellegrino, it took him a long time to come out of his shell and sing but he has this amazing voice. And Kim Rhodes, it took her a long time to sort of take the bait and then we were all blown away, and she’s been flawless every time. Lynn: She has, and it’s not even like you’re like oh well the band will make up for what it needs to. Instead these people are taking the stage and being rock stars! Rob: Holding their own, yeah. Again, it’s the magic of this whole group. Lynn: Even Jensen – I was talking to him a few weeks ago about singing, and I remember that in the beginning when he first sang in a few little duo concerts with Jason or with Steve Carlson, and he kept saying I’m not a musician, I will never put out my own album. But he’s sorta wavering on that now, because he’s enjoyed it so much. Lynn: And he’s also gotten to be such a rockstar performing with you guys. Rob: (laughing) I know, he really really has. He’s amazing, that guy. He can do it all. Lynn: (laughing) I know, it’s disgusting. I swear there’s nothing he can’t do. 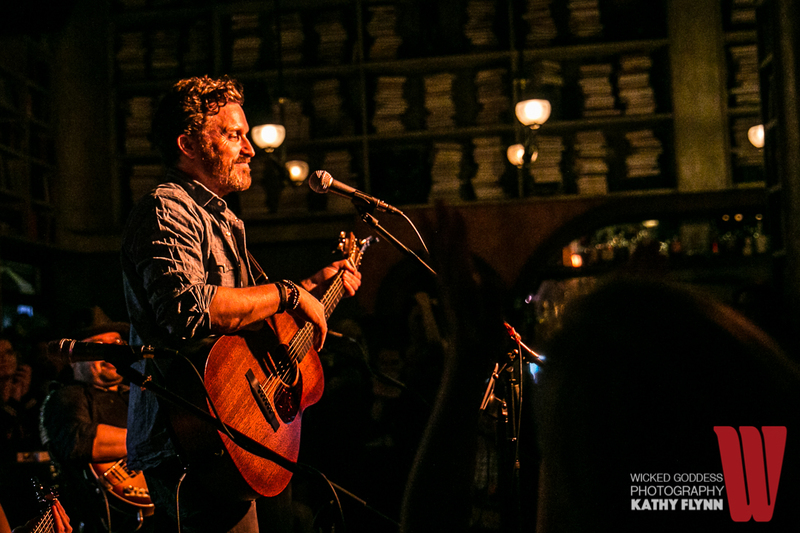 I don’t know if you ever sit around and think about how much of this is due to you and to Louden Swain, but I was listening to that live album and marveling – all of the songs are completely different. You let people do songs that are the right fit for them. Rob: Well, I think we’ve found something out about ourselves as a band doing this. I don’t think we ever thought that we’d cover an Eminem song or something like that, but it’s one of our favorite songs to play. Every time Osric sings with us, we’re like can we do Eminem? We really love it and it’s fun for us too. I think we’ve sort of surprised ourselves as a band. And I think doing that makes you a better band. So we’ve grown through this whole experience as well and found out something about ourselves. It’s been super exciting. Lynn: You did a bunch of live shows that were not con shows last summer and I was lucky enough to catch one in NYC, and it was amazing. What is the difference between doing those kind of shows – I know you have more planned for the winter – and a con show? Rob: Well, the main difference is with the Saturday Night Special concert, between every song you’re going ‘okay, who are we now?’ You’re changing instruments and kinda resetting for a different performer. So it’s a bigger dance, there’s choreography. We’ve got this set list printed out and this other list of what guitar we play or whatever and I’m hopping over to bass sometimes or Mike’s hopping over to keyboards. It’s more of an orchestration, whereas just playing a straight show is just kinda going back to what we knew. A little easier but at the same time it’s a little more because it’s all you, you’re not ever giving the mic off to someone else, it’s all you. Rob: So they both have their advantages, they’re very different. 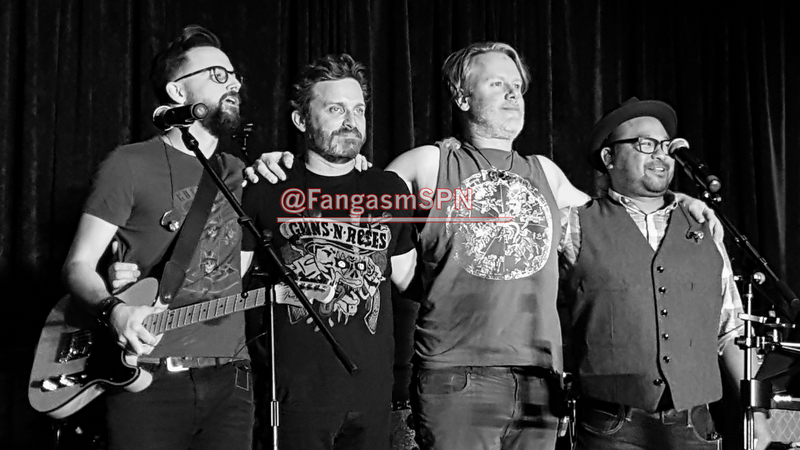 And certainly there are a lot of fans who are Louden Swain fans and they like when they can hear all the Louden Swain songs, so I always enjoy being able to play certain tracks that we don’t get to play on the SNS shows just because we don’t have time, so there’s always that element that I do enjoy. Lynn: I really loved the show I saw. 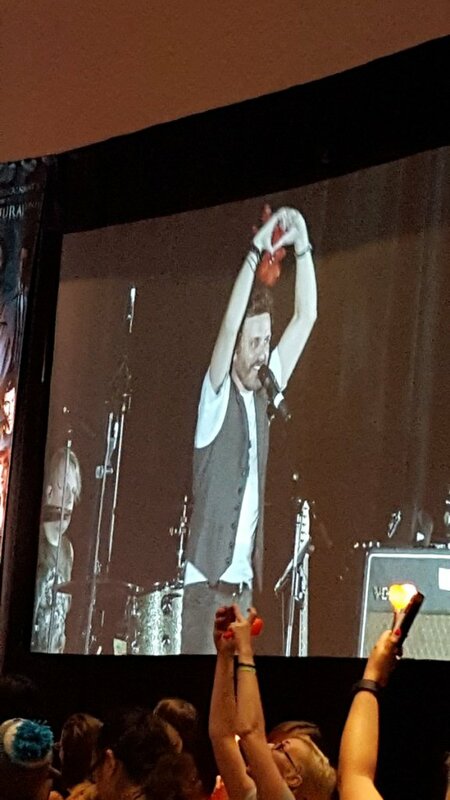 Back in the day, when the Louden Swain concert was just a Louden Swain concert at the cons…. Lynn: But now it’s different, so it was really cool to hear you play in a club environment, and for it to be full of really passionate Swainers. I then spent the next ten minutes trying to convince Rob to come play in Philly when they do their east coast tour in January. Jason has played here, and it’s an awesome music town. Who’s with me?? I promised to send Rob some venue suggestions, which it occurs to me I still haven’t done. I’ll get on that! Then of course I had to mention Supernatural. 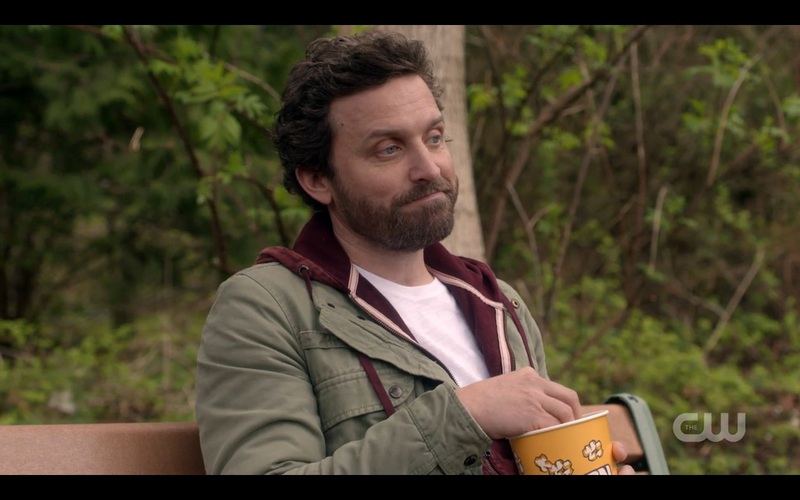 Lynn: So with lots of talk of God on Supernatural recently, there’s talk about Chuck returning. And of course you couldn’t tell me even if you knew, but are you sort of hoping to be back at some point? It seems inevitable to me. Rob: But I have heard that they’re talking a lot about God this season so… you know, if I am coming back, it does seem like a good fit to come back this season. I don’t know anything yet but certainly just being part of the family, it’s always something that I wanna do. 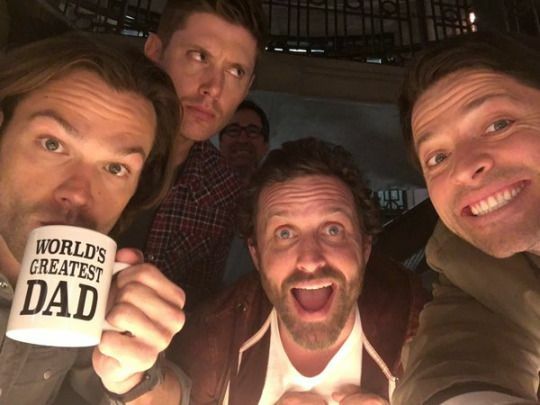 It’s always a dream to go work with those people and especially now with Jensen and Jared being some of my best friends, so to go up and work with them is always a dream. 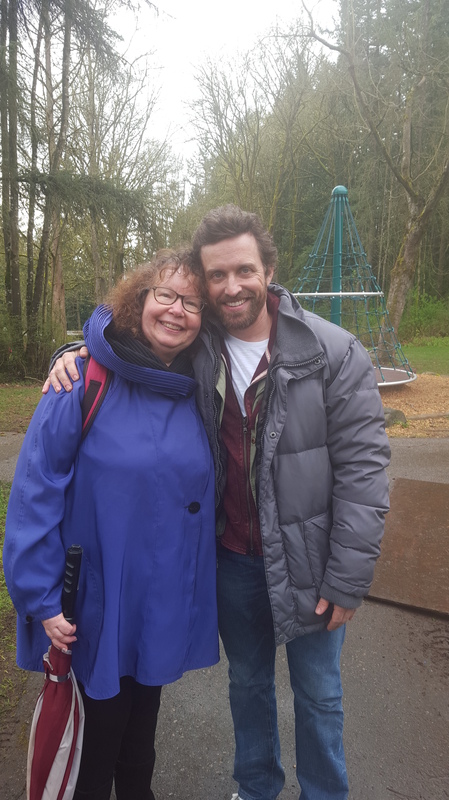 Lynn: I was so glad that one of the recent times I was up on set you were there – we were on set for the very first episode you did for Supernatural many years ago, so it was just so cool to be back there when you were on again in Season 11. Rob: Yeah, that was so fun to see you there too! That was when it was still kind of a secret I think. Lynn: (laughing) Yeah I kept it, I’m good at that. Confidentiality, etc. Lynn: So any news on Kings of Con Season 2? There have been a lot of fan initiatives trying to get Netflix or amazon or somebody to pick it up. 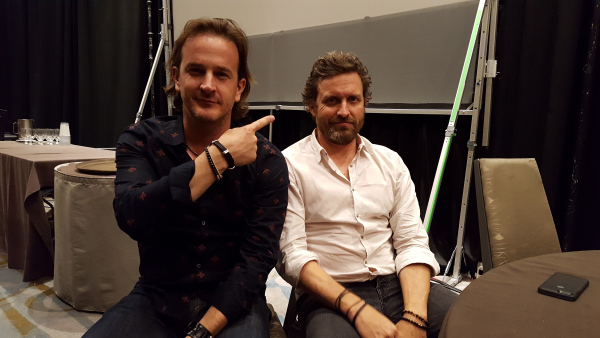 Rob: Yeah, it’s funny, I just pulled up to my office where Rich and I are working on our presentation for Season 2. Comic Con HQ isn’t doing any more scripted shows, so we’re gonna go into business with Lions Gate, our studio, and we’ll pitch it to networks like Netflix, Hulu, that sort of thing. So fan support goes a long way, and that goes into our pitch presentation. Sorta like, this is the show, these are our fans, let’s do it! Lynn: I’d think that would be compelling, that there’s already so much support. Rob: Yeah, hopefully that will help alot. We’ve got a great pitch and a great presentation, and I’m confident it will end up somewhere, it’s just a matter of where. Lynn: I can’t wait to see that! Rob: Yeah it was fun. Lynn: It will be interesting to see you do something so different, because the other one you did, the short with Justine Bateman, that was a comedy. Rob: Yeah, Five Minutes, that was at the Toronto film fest. It was a comedy and it was fun to play that guy too, a little different from the kind of part I usually play. Lynn: Anything else we haven’t covered? Rob: No I feel like that covers everything. Just, I feel like we’re looking forward to pitching Kings of Con, we’re working every day to get this thing back on the air and it’s really looking good. Lynn: Awesome. We will keep on it, won’t we, fandom? Tell Rich I said hi. Rob: Okay Lynn, nice to talk to you. It really was my pleasure though. 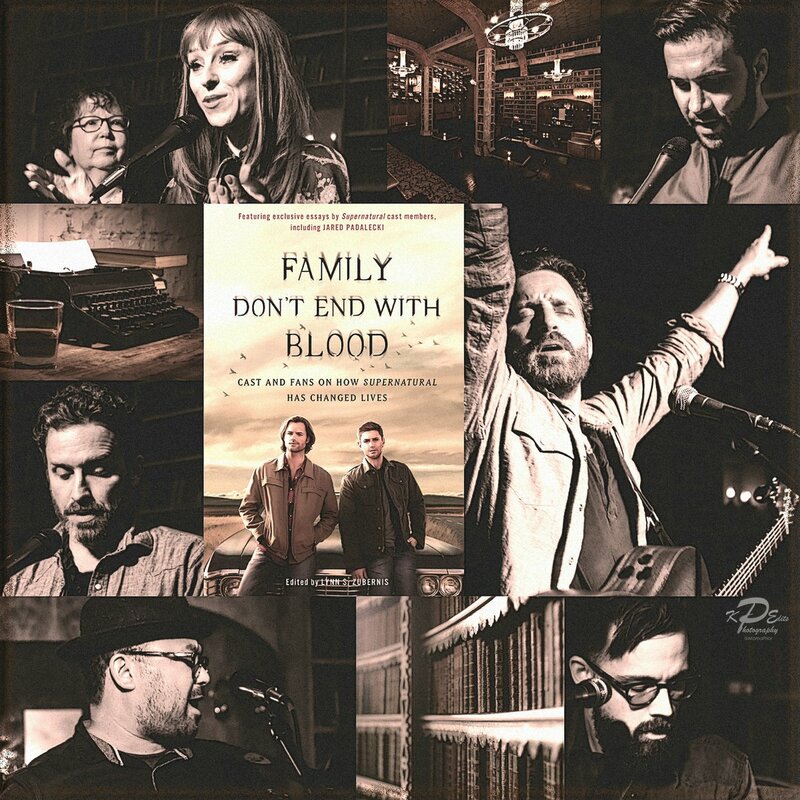 If you haven’t already, check out the powerful and personal chapter that Rob wrote in Family Don’t End With Blood. It captures what the SPNFamily really is all about. 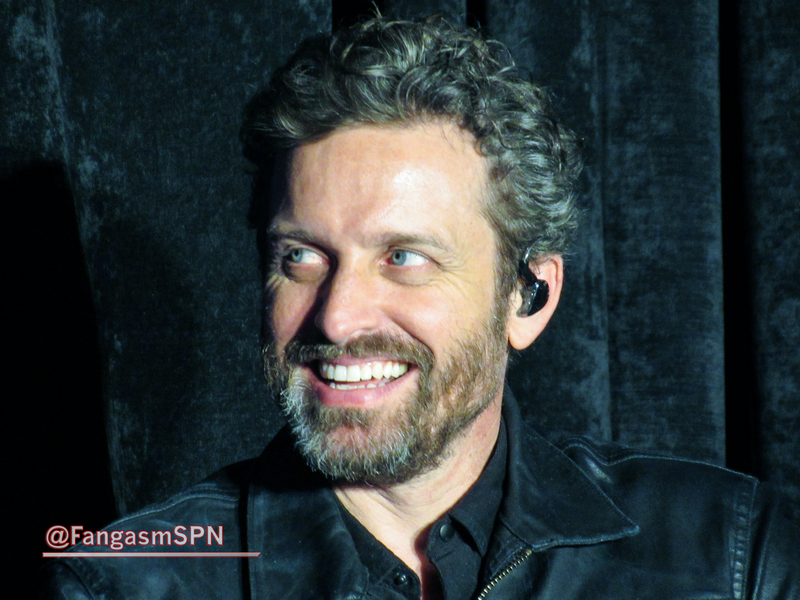 Many of his fellow Supernatural cast members wrote personal chapters too. And if you don’t already own the Saturday Night Special live cd, my niece and I heartily recommend it! Here’s to Season 2 of Kings of Con! the links on this page! Hey, Lynn! Your book was a Kindle Daily Deal today! I was so excited to see it when I got my Daily Deal email from Amazon! How cool is that!